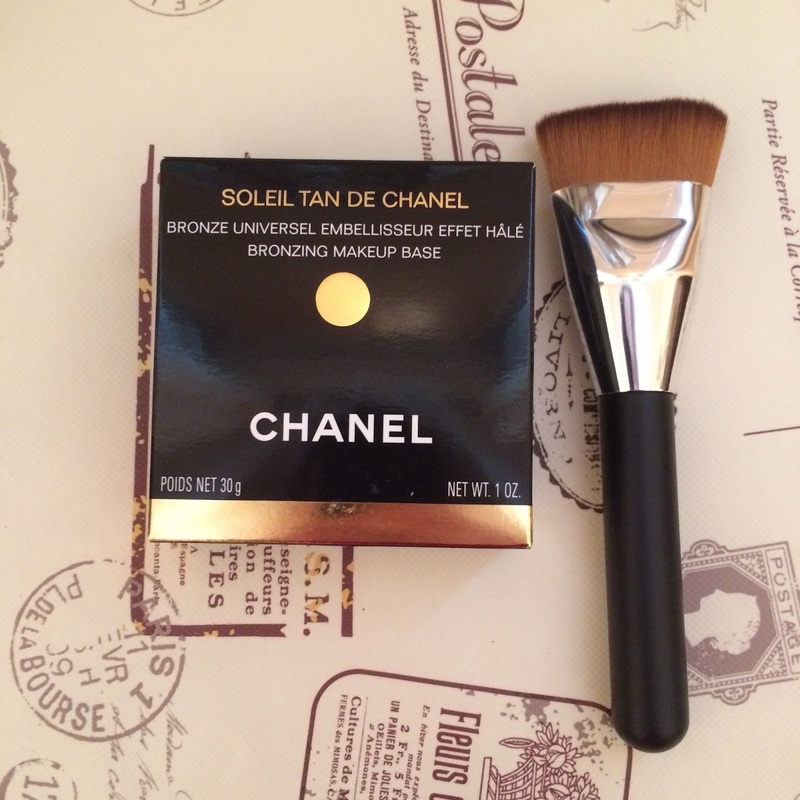 So as those close to me know, I love the Soleil Tan de Chanel Bronze Universel (Chanel universal bronzer). So much so that I took it backpacking with me through the jungles of Thailand and onto Australia (a girl needs a little luxury) when I embarked on a year working in Australia. My love affair with the Chanel universal bronzer dates back to 2009 when my bestie the glamorous Gillian Jeffers (accountant by day/Sydney Socialite by night) recommended it. She wasn't exaggerating when she said "It would change my life." Fast forward to 2015 and the love affair continues and I use and recommend this product to all my clients. So...you can imagine my excitement when I received a mail from a lovely customer telling me that she had found a dupe for the Chanel universal bronzer "Bourjois Bronzing primer." My excitement was peaked by the knowledge that Bourjois was until very recently owned by the same family as the fashion powerhouse Chanel. It is common knowledge that both brands shared similar if not the same products which were marketed and priced accordingly post production. Therefore, my aim was not only to determine if the Bourjois Bronzing Primer was a good dupe for the Chanel universal bronzer but also to determine if they were in fact the same product. Right let's dive straight into the review! Ok first impression I was a little disappointed by the size of the Bourjois bronzing primer compared to the photographs I had seen. However, I was determined to proceed with an open mind! Price: Bourjois 12.99euro (18ml), Chanel 39.99euro 30g. Bourjois- Mousse like, slightly orange appearance, citrus scent. Chanel: Velvet texture, matte brown colour with the characteristic "Chanel" scent. I'm not going to bore you by re-hashing a product formula comparison. In summary they are not the same product although they do share the same primary and secondary ingredients (in reverse order). The Bourjois primer is an aqueous product while the Chanel universal bronzer does not contain any water. This explains the different appearance and textures of the two products. One observation is that the Boujois Bronzing primer contains Silica (as all good primers do). So this is a wonderful ingredient to fill out lines and act as a makeup base. The Chanel bronzer is called "Universal" as its innovative formulation means one shade suits every skin tone...magic!! 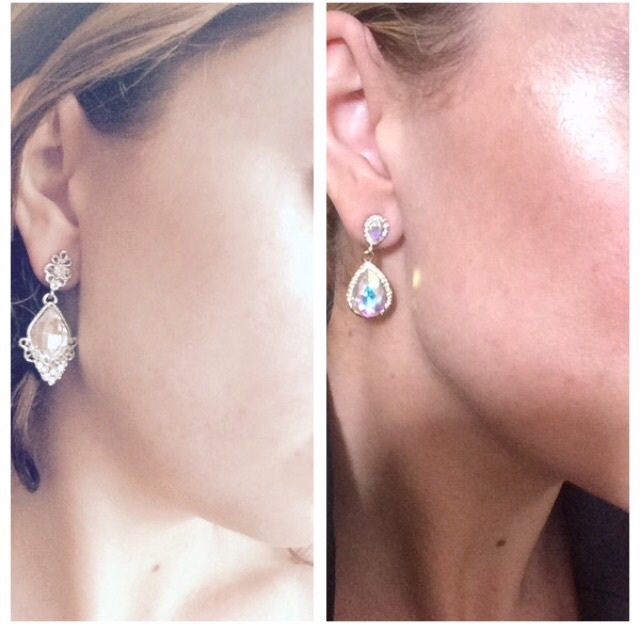 The picture below shows a comparison of before and after contouring using the Chanel bronzer. As you can see I created the illusion of cheekbones relatively easily using the Laveesha Flat contour brush. 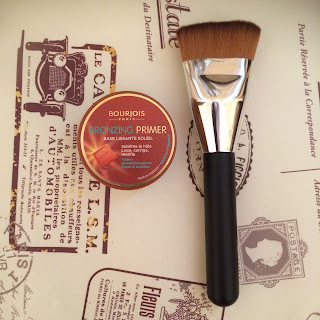 The Bourjois Bronzing primer- Admittedly my first impression of this product was one of terror. I bravely decided to test it prior to an event. Despite the wet texture I dipped my "Laveesha flat contour brush" straight in and hoped for the best. I was very pleasantly surprised that not only did this product blend as well as the Chanel bronzer but it dried almost immediately giving a soft powdery texture (see pic). Verdict: Having tested the Bourjois bronzing primer prior to an event I was delighted to be told at the event that my skin had a lovely glow and I was asked had I been on holidays recently (I wish). To wrap it up I won't be throwing my beloved Chanel out yet! I feel when you take the size and price of both products into consideration, it might be better to save up and splash out on the Chanel universal bronzer instead of having to buy three Bourjois products to make up the same quantity. Remember the old favourite saying "cost per wear." In summary the Bourjois bronzer is a fabulous dupe and it is a very purse friendly option. 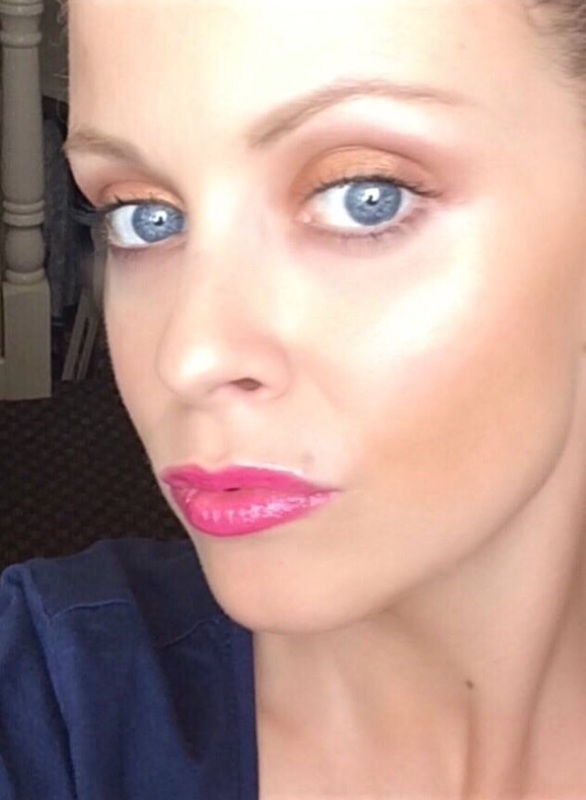 I really like the bronzing primer and I use it daily with the Chanel to add further definition to my cheekbones. It is a welcomed new addition to my makeup kit! Thanks to the lovely Breda McBride for her wonderful recommendation!